event reports, and other teen news! Texas Teen Book Fest 2015 News! With the new Star Wars movie opening this fall, TTBF15 definitely has to include a Star Wars author! Evernight series author Claudia Gray is coming to TTBF15 to talk about her new Star Wars novel, Journey to Star Wars: The Force Awakens: Lost Stars! The book features some of the major events that have happened in the last 20 years in the SW timeline, and two childhood friends on opposite sides of the war. To start planning your visit, information about attending this year’s festival is up, and you can keep it tuned here for author line up & programming announcements. Are you excited yet?? You should be!! Texas Teen Book Festival (formerly the Austin Teen Book Festival) happens on Saturday, September 26, 2015 on the campus of St. Edward’s University. This event – and parking – is free and open to the public. Yes. We got signed copies of Paper Towns in this week! You know you want one of these! Call us and we’ll take care of you over the phone (512-472-5050), or order online and write that you want a signed copy in the comments section of your order. We ship world-wide! We’re excited to be part of Libba Bray’s awesome pre-order campaign for signed copies of Lair of Dreams: A Diviners Novel! Orders will ship August 25, the day of the book’s release. To secure your signed copy, order online. Thanks to Little, Brown and Libba Bray for making this all possible! New Reviews from the Teen Press Corps! 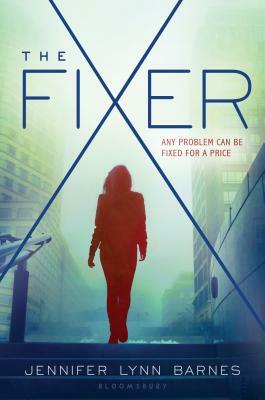 I love Jennifer Lynn Barnes’ novels, and I love political thrillers. The combination of the two is epic. I wish I could be friends with Tess in real life. She carries the world on her shoulders — balancing high school, an absent sister, the death of her parents, and taking care of her grandfather who suffers from Alzheimer’s. Tess is smart, capable, and caring. Her relationship with big sister Ivy is really wonderful. I really loved the development of their relationship and that it wasn’t pushed aside for romance. Continue reading. 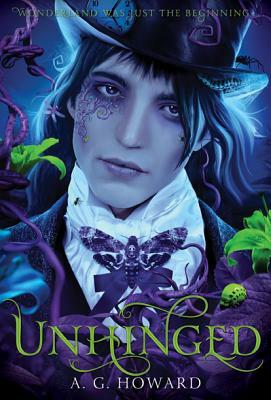 I absolutely adored A.G. Howard’s Splintered, the first book in this series (it was one of my favorite from last year) and so I couldn’t wait to see what she did with Unhinged! . . . This series has made me love the story of Alice’s Adventures in Wonderland even more than I did before, and I love how A.G. has created her own world. She’s taken Lewis Carroll’s story, made it darker, questioned it, and elaborated. She’s brought it to life in the modern-day. It takes guts and a crazy good writer to do that, and A.G. is both of those – gutsy and talented. Read the full review. Paper Towns! The movie is finally here! Yes, the movie opens this Friday, and we can’t wait to see it! John and the gang have been all over the place this week promoting the film on Today and other shows. John’s Instagram was chock full of gorgeous photos from the premiere. And then there was this news about his production deal with Fox 2000. Yeah, John Green may be having the best week ever. And now for something fun. MTV put together a little quiz that will figure out “which member of the John Green squad” you are. I took the quiz and I got, “You’re John Green!” Ha! No. I wish. 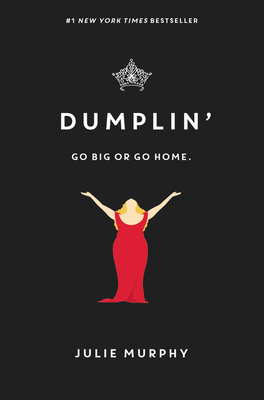 Julie Murphy, who was one of the fantastic authors at TTBF last year, has a new book coming out in September called Dumplin’. Dumplin’ is about a girl who enters a beauty pageant even though she isn’t the typical beauty pageant contestant body-wise. It’s a sweet, and at times funny, honest look at self-confidence, relationships, and beauty. The news broke this week that Disney has purchased the movie rights! We are thrilled for Julie and think Disney has made an excellent choice. We’ll keep you posted! Be sure to check out more reviews over on the Teen Press Corps blog! To have all of the Teen Press Corps’ YA news delivered to your inbox once a month, sign up for their newsletter.